Renting Equipment. The Latest Minimalist Trend and How to Get Started! Renting Equipment. The Latest Minimalist Trend and How You Can Get Started. Living a minimalist life often means you’ve let go of things that no longer get frequently used. What can really pose a problem is those few times a year when you could really use a certain appliance or piece of equipment. Things like carpet shampooers, KitchenAid mixers or camping equipment are things you may want to use only once a year. When you only have a need for them once a year, most minimalists can’t justify actually buying these things. You could borrow from a friend, but there is a new trend starting that might make things even easier. Renting equipment. This new trend is catching on and spreading like wildfire. 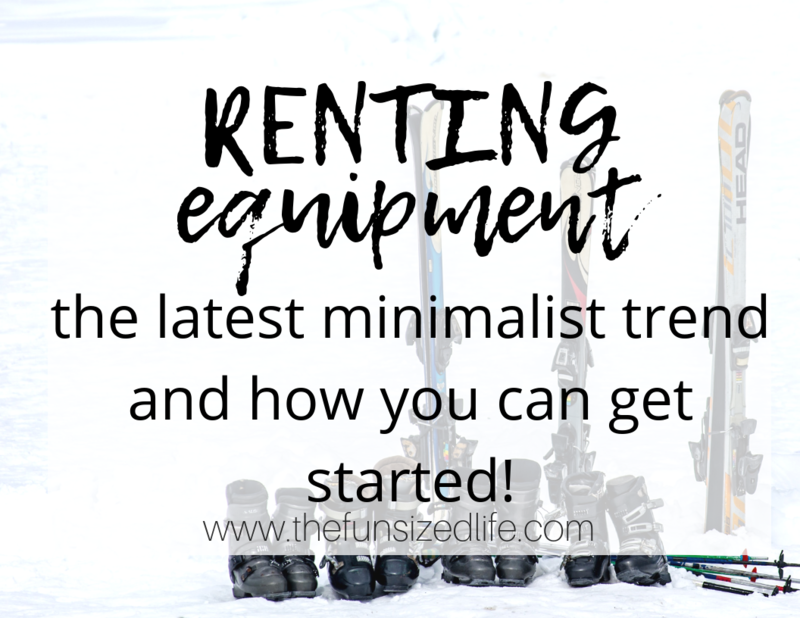 See how you can get started renting equipment and making a profit from the things you are barely using! If you don’t feel up to starting a jumping head first into an appliance rental business, you can always just reach out to friends and family via e-mail or social media and let them know you have a few items for rent. While newspaper ads to cost money, if you have an item that you feel would be of great value it might be worth it. If you have access to several of the same type of object, getting a newspaper ad could really help you get your stuff renting out quicker. Otherwise, take full advantage of all the free ways to self-promote. We live in an age where news spreads at the click of a button. Don’t be afraid to take advantage of it. There are Facebook groups for garage sales, lost pets, moms, minimalists, just about any topic you can think of. If you are hoping to start up an equipment renting system in your area, this is one of the best ways to get started. Millions of people partake in Facebook groups, and there are no doubt a ton in your area. Creating a Facebook group will allow you to find people in your area and allows them to easily post their rental equipment. Starting a Facebook group is literally as simple as this. Perhaps reach out to friends beforehand who you think might be willing to rent their appliances out. Before inviting potential renters it might be a good idea to get a few items listed and priced so people can see what your group has to offer right away. Baby Steps Toward Minimalist LIving: 5 Simple Tips for Simple Living. These are just some idea of what you could be promoting each season. Keep in mind these will vary based on your location. Chances are there are people in your area who are not taking full advantage of some of these items and would actually enjoy making a little pocket change by renting them out and helping out a neighbor at the same time. We have libraries for books and video machines for video rentals, so why not think a little bigger? It’s becoming more and more common for people to open up a Library of Things in their area. A Library of Things is a place where people can either donate items, you can contribute your own things or purchase things in order to create a large selection of appliances for rent. People can come to a Library of Things just like they would a regular library. Instead of loaning books, you’ll be renting appliances. There is no doubt that with the rise of minimalism, libraries of things are going to become more and more common. Check out this post all about how to start a library of things yourself. If you decide to create a Facebook group for renting equipment or decide to open a Library of Things, the most important thing you can do is spread the word. Make sure you are telling people about your new venture. In order to keep things going, you’ll need to have people renting equipment! There are so many people who are dying to take advantage of an opportunity like this so make sure you are finding them! Find a tool library or library of things near you. This is very interesting and not something I have ever heard of! I am going to pin this to consider more, thanks! I really love the idea! Glad you enjoyed it!